Two climbers have been injured on Britain’s highest mountain. 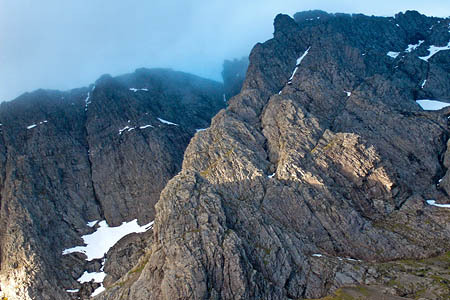 The men were on Tower Ridge on Ben Nevis’s north face when they sustained their injuries this afternoon. Police were alerted to the incident at about 1.15pm and members of the Lochaber Mountain Rescue Team went to the climbers’ aid. Northern Constabulary said both were experienced climbers. A spokesperson said the extent of their injuries is not known at present. A Royal Navy Sea King helicopter from HMS Gannet in Ayrshire has flown to the area to help evacuate the two climbers from the mountain. Police said no further details are yet available. Tower Ridge is a challenging scramble route which includes climbing sections rated Difficult or Very Difficult, depending on the route taken. The route starts near the Charles Inglis Clark hut and leads to the summit plateau of the 1,344m (4,409ft) munro.